Since moving abroad and photographing in Paris and Annecy, France I photograph families and couples while on vacation or locals. This concept of photo sessions is something I love and appreciate. Hiring a photographer can often be daunting and especially in a city you may be unfamiliar with. I would also like to say hiring a professional photographer is difficult even if you have lived in a city for some time. For example, some questions that may come up are: What experience does the photograph have? Who exactly are they (anyone can say they are professional, but are they)? What is their photo style? What gear do they have? Are they actually good with people, personable, able to carry a conversation? And what I think is the most important thing is how do they make people feel? These are all things you as a client should think about. Photos are investments but more importantly souvenirs that last for years. 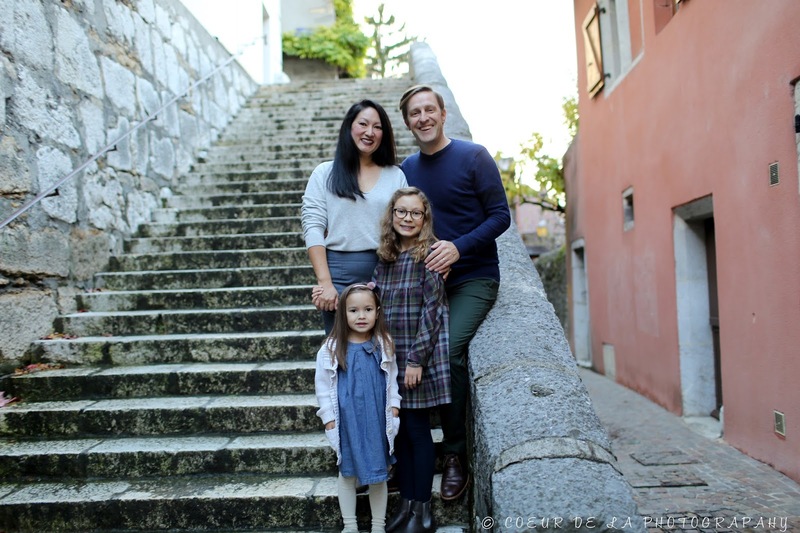 While establishing my business in France I have built a community of Coeur de La couples, creators, and families in the two areas I mainly photograph, Annecy and Paris. 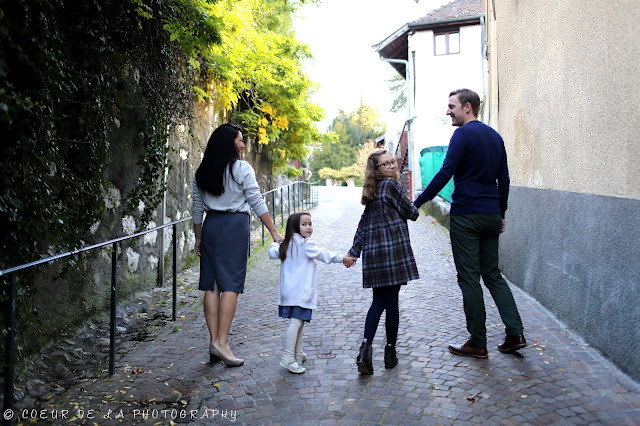 One of my favorite things to do is treat families to a local view of the city, photographing you and your loved ones on tucked away streets, hidden and often uncrowded spots that make family photos all together more enjoyable. I also love when a couple comes up with a unique, creative, or original idea for a location. For example, on a family hike, at their favorite coffee shop, a casual day at home ... these locations allow for true and authentic images. When hiring a photographer you are not only hiring someone to snap a few photos, but you are choosing someone to spend time with the most important people in your life and lets face it, time is oh so precious. 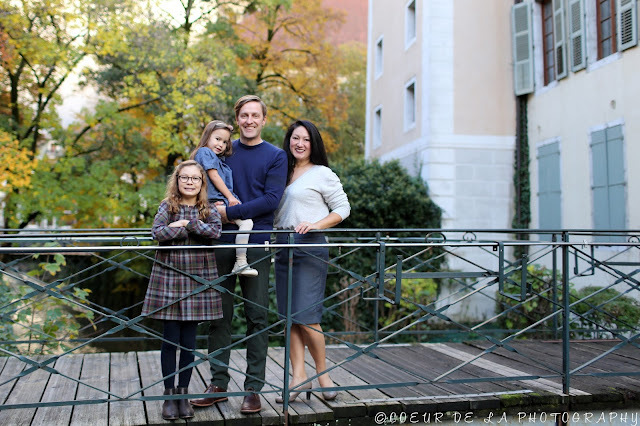 I am so excited to share with you a recent family photo session I did for a very special family from Annecy. I photographed these four last Spring, and I was completely honored to photograph them again. One of the things I miss most about photographing in California are the families I photographed since their childrens' births, mom's during their pregnancies, families at weddings. These families ... time and time again referred me to their friends and families, and for that I am ever so grateful. 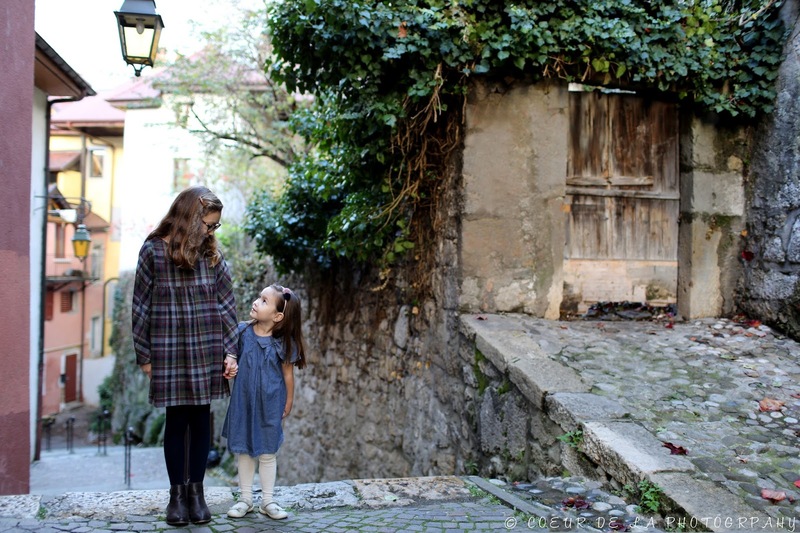 I chose to photograph this dynamic foursome in old town Annecy. We were a bit hesitant because the weather was not ideal for most of the day, but around our photo session time the clouds literally parted. With brisk temperatures the girls (and parents) were champs. I did not hear one complaint or grumble. The girls were all smiles and giggles as we talked about school, homework, life, and of course the upcoming holidays. For me, one of the main things I love focusing on is capturing children for who they are. I love imperfectly perfect moments, because when you look back when is anything perfect? The little moments in between photos are my up most favorite to photograph. These are the real moment, the ones you want to hold onto forever. For me the coolest thing about photographing for over 8 years, I can look at a scene and now exactly what I want to photograph, how I will photograph a family, and the story I know the family wants to see. 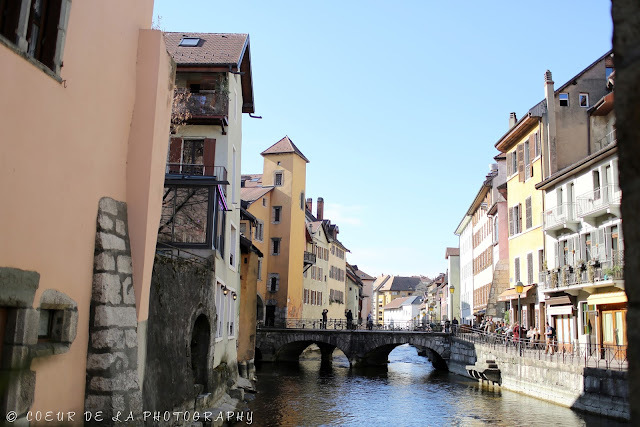 Annecy is a magical place for photos. Walking through the streets you can feel a since of energy, history, and quaintness. When I photograph families in Annecy I want them to look back at their photos and feel just how special Annecy is. We ended our photo session with smiles and chatting about the cafe with peanut butter hot chocolate. By the end of the photo session I think we were all dreaming of warm beverages (did I mention we are all from California and not use to "WINTER") More importantly, we ended another family session with a photo session the family will remember as fun (maybe cold) but warm because of the experience. What experience do I have? I have photographed professionally for the past 8 years. Studying art, photojournalism, and literature. I have developed a signature style of photography that is journalistic and fun. I photographed and styled a National Best Selling cookbook in the United States giving me the confidence and skills needed to further my career. I specialize in photographing families, weddings, lifestyle and food. Who am I: Friends call me Caro or Coeur ... I love to run and hike mountains in my spare time. Believe that passion can only take you so far when it comes to following your dreams. Moving abroad was the biggest risk I have ever taken and this has made me more courageous, and fearless. I love coffee, but recently started drinking green tea. I believe luck is a culmination of hard work and effort. What gear do I have? I believe a photographer can use almost any camera as long as they know how to use it. I photograph with a Cannon 5d mark III and photograph with a 35mm f/1.4 L lens and an 85mm f/1.2 L lens. After years of photographing with fixed lenses I have created a photography style that is tangible, soft, and journalistic. Am I personable: if you have yet to figure out that I love talking, communicating, telling people's stories visually than you have missed the point of the post. 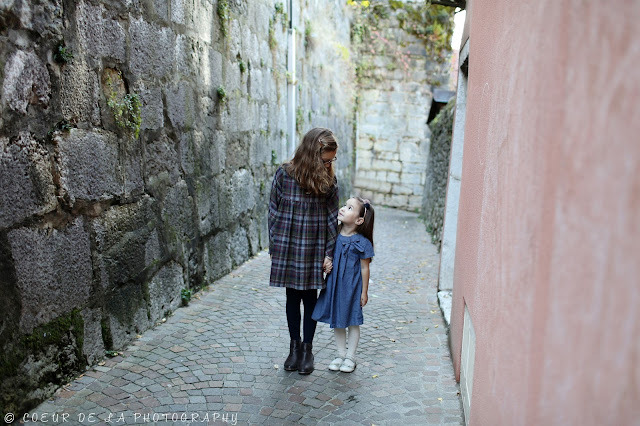 The main goal of my photo sessions are: to make people feel good and see themselves for who they are. I feel grateful to photograph and show my enthusiasm often. I am currently booking 2018 and 2019 Destination Weddings and Elopements ... all destinations are welcome. 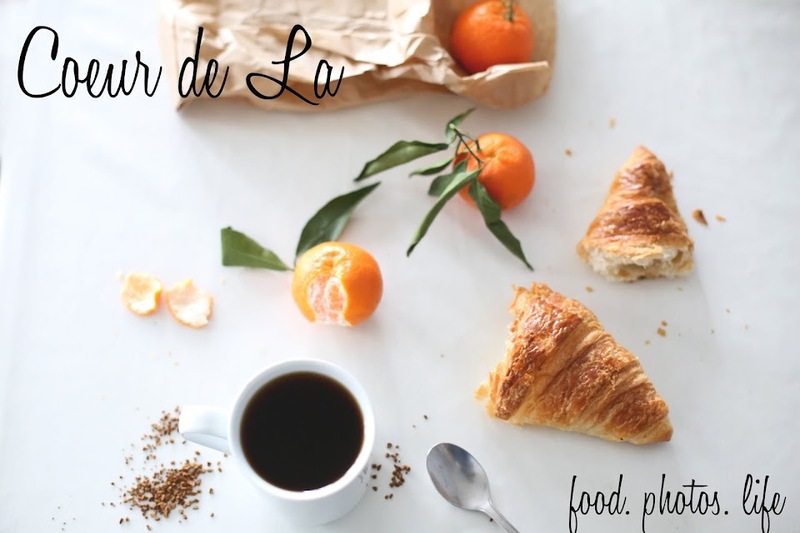 Booking lifestyle, food, and family photography as well.